If naughty devils are your theme then these funky pink and white devil horns are a great idea for the bride to be. They are made from sleek pvc, with a white fluffy marabou trim. They are small and light weight and are attached to a comfortable headband with a veil. 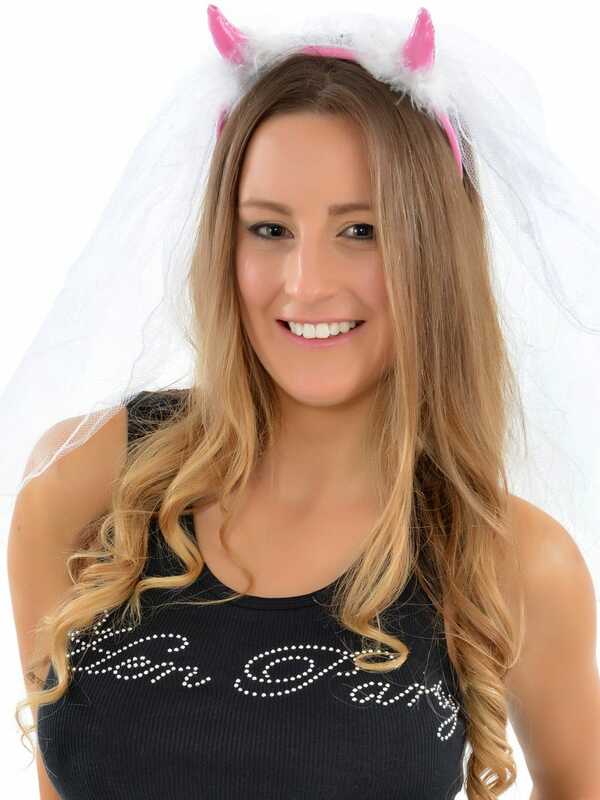 You can also match this with other sassy hen party accessories.